and, maybe most importantly, their ability to indicate to us how we are impacting our oceans. Sea otters came back from the brink of extinction as they were ferociously hunted for their fur during the Maritime Fur Trade of the 1700 and 1800s. They fight disease, shark and orca attacks, boat propeller strikes and even a threat of re-instituting legal hunting in one of their native habitat states. However, they persevere….narrowly….but for how long? Sea otters go about foraging for food – which daily, needs to be about 25-30% of their body weight – with their favorite rocks used as tools to crack open the tasty treat they have brought to the surface. Are their food sources safe? Good question and a question sea otters help us to answer. Many items – clams, abalone, shrimp and urchins – encompassing a sea otter’s diet also happen to be some of our favorite seafood delicacies. 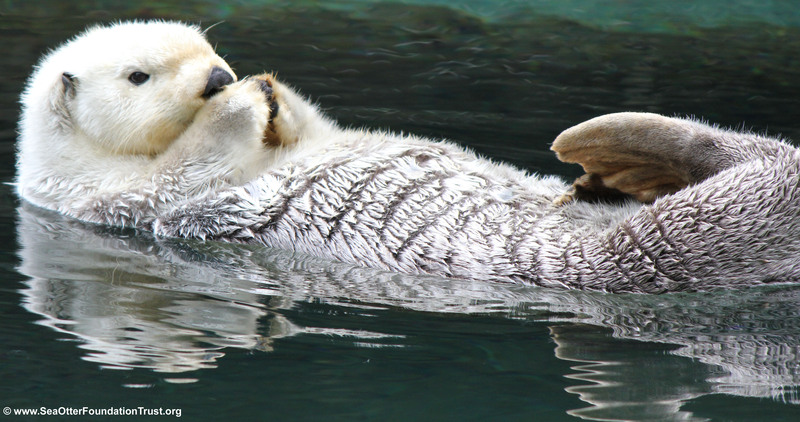 Sea otters provide early warning signs of potential pollution in our own food source. We depend on sea otters; sea otters depend on us. It is symbiotic….and for me, truly inspiring. So, in their own perservering, ingenious and indicative way, sea otters have inspired the creation of SOFT, the Sea Otter Foundation & Trust, an organization designed purely to help us help them. Will sea otters inspire you? Be inspired – Give today. Visit our Support us page. SOFT had an amazing Sea Otter Awareness Week Tour in 2014! Read about each event from September 21 – 27, 2014 on our Previous Events Page. The kids put together this video to tell the school about the recycling program and SOFT after Diane Tomecek, President & CEO of SOFT, presented there in April, 2014.